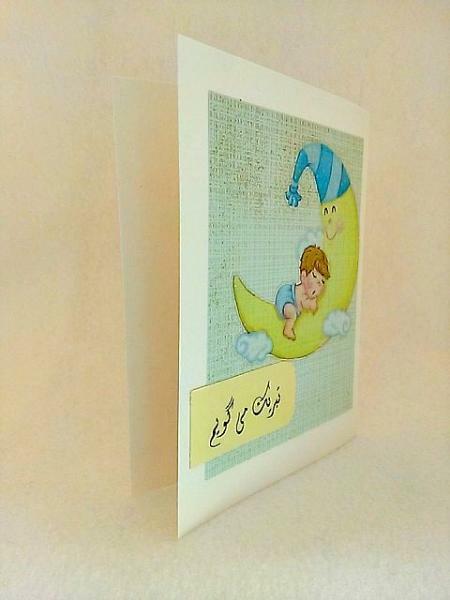 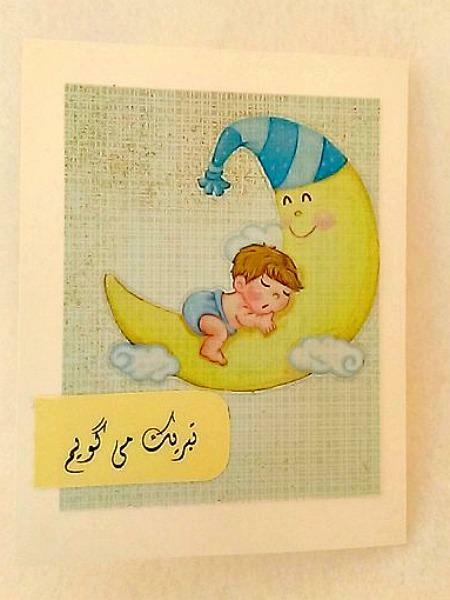 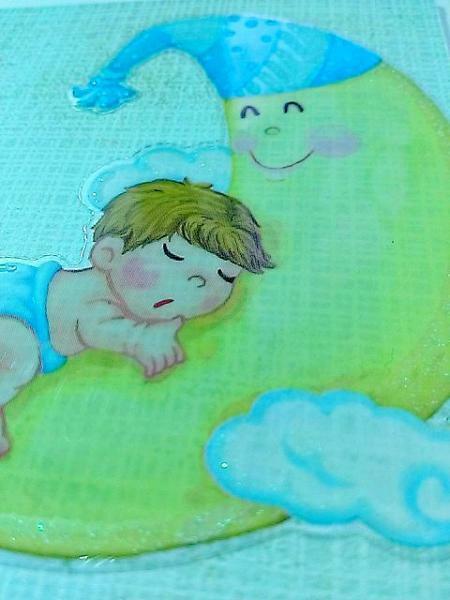 This Farsi congratulations card has an adorable napping baby, with a glittery blue diaper, who is content on a smiling moon. 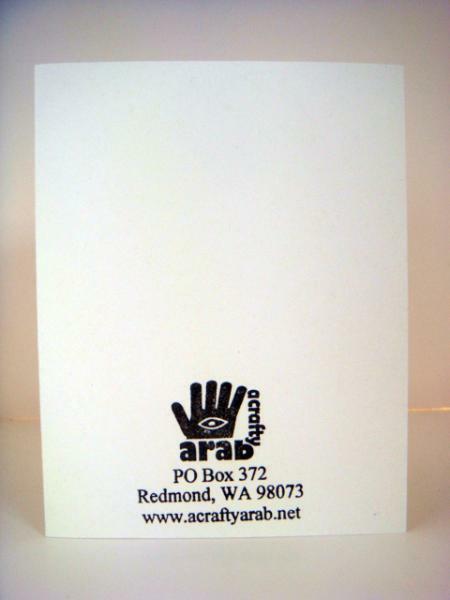 The words tabrik migoyam were written on vellum and added to yellow cardstock below. 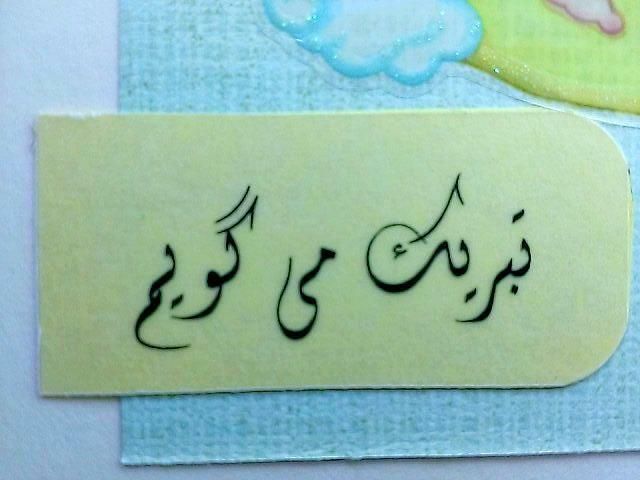 Since this is an Persian card, it opens left to right.